New Delhi: Punjab National Bank (PNB), India’s No. 2 state-run lender, posted a 12% rise in quarterly profit, handsomely beating estimates, as the bank earned more in interests. The results were in line with India’s mid-sized lenders, most of whom posted strong quarterly profits, mostly exceeding street estimates, providing a much-needed relief to the stocks which have taken a sharp hit recently on asset quality concerns. PNB earned Rs1,205 crore for July-September, compared with Rs1,075 crore a year back. A Reuters poll of brokerages showed analysts expected PNB to post a profit of Rs1,130 crore for the period. PNB, which has managed to maintain a relatively better net interest margin (NIM) -- a key indicator of performance -- compared to its peers, said NIM for the quarter dropped by 11 basis points to 3.95%. 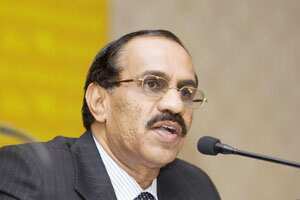 The company expects to keep its NIM above 3.5% going forward, chairman K. R. Kamath told reporters. PNB’s interest income rose by 16% on the year to Rs3,453 crore. In July, PNB agreed to buy a 30% stake in the Indian venture of Metlife, the biggest US life insurer, for an undisclosed amount. PNB also entered into a 10-year distribution tie-up with Metlife India. Indian banking stocks faced flak from investors last week when Union Bank of India posted a sharp rise in bad loans, bringing in fresh fears of declining asset quality at state-run lenders. This followed a credit rating downgrade of SBI by Moody’s earlier this month, which had brought the broader market down by 1.8%, keeping nervous investors away from banks. The Reserve Bank of India’s last Tuesday deregulated savings deposit rates, its last administered bank rate, in a move that will expose such accounts to policy rates changes and push up the cost of funds for banks, sending shares in the industry lower. PNB will take a call on raising savings bank rates after looking at market reaction and is yet to decide on a timeline for that, Kamath said. Rise in savings deposits rate is a negative for bigger banks with high savings account balances, as smaller and newer banks are now free to offer higher rates in order to attract deposits. But Kamath seemed unaffected by the prospect. “I have enough cushion to absorb the shock," he said.